Both my boys, especially my youngest one Tyler are big fans of the Disney Crossy Road App. Have you played it? It looks simple, but for an old lady like me, it’s not as easy as it looks. Honestly, I am terrible at it. The boys are fab and enjoy the fun of the Disney characters in the new one. 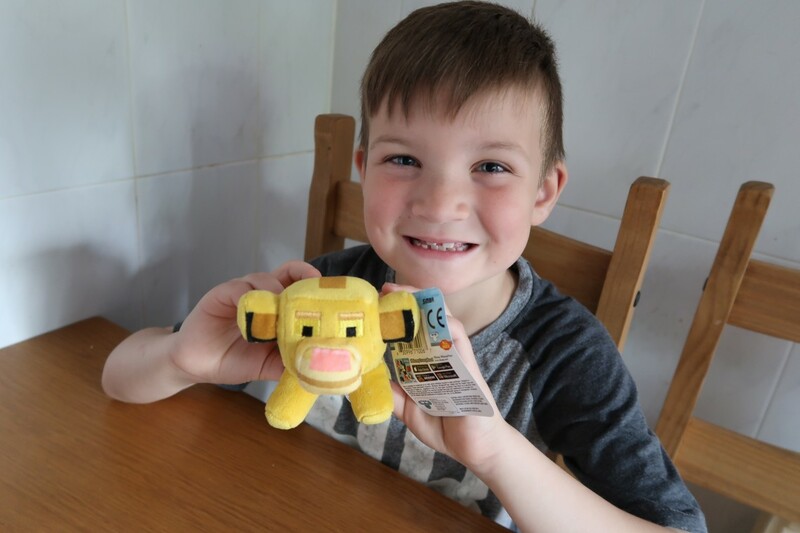 You can imagine how delighted Tyler was to unbox a box of the new Disney Crossy Road Toys to review by Character. The first thing out of the box was of course the Disney Crossy Road Plush. Anyone that reads here or knows Tyler, knows how much of a tactile and sensory boy he is. He loves anything soft and this did not fail to disappoint. We got Simba from The Lion King. We haven’t seen this film yet, so it’s next on Tyler’s movie day wishlist. The toy is well made and very soft. It is sturdy enough to play with and soft enough to cuddle. It’s super cute. 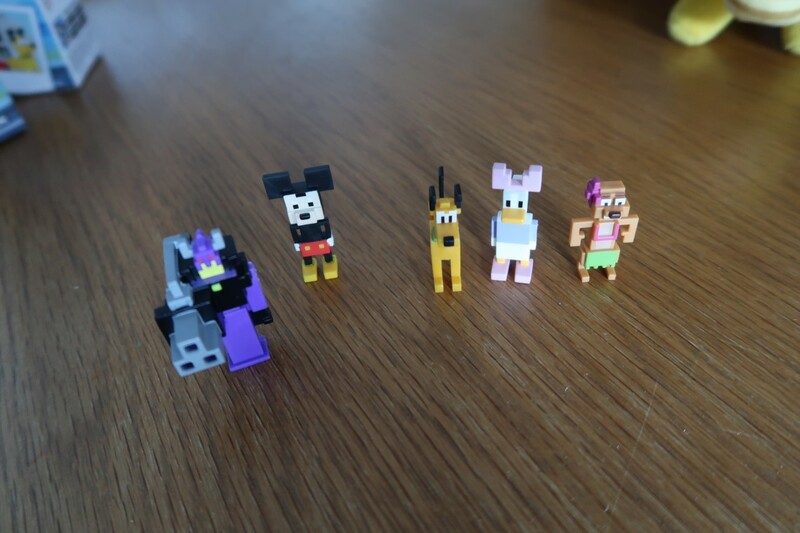 Next up was the mini figures, these Disney Crossy Road Mini Figures. There are over 40 to collect from series 1 alone. These include Mickey and Friends, Big Hero 6, Toy Story, and The Lion King. The figures themselves are about an inch high. We had two blind boxes and within the blind boxes you get a collector sheet, character and stand. 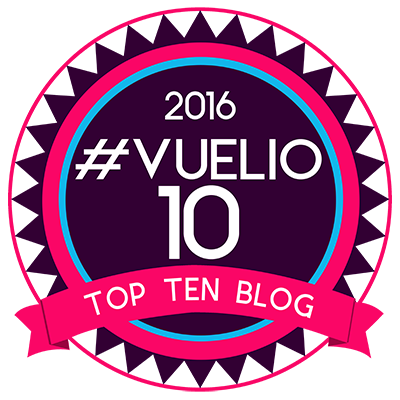 Why not collect them all and get those boxes ticked off. 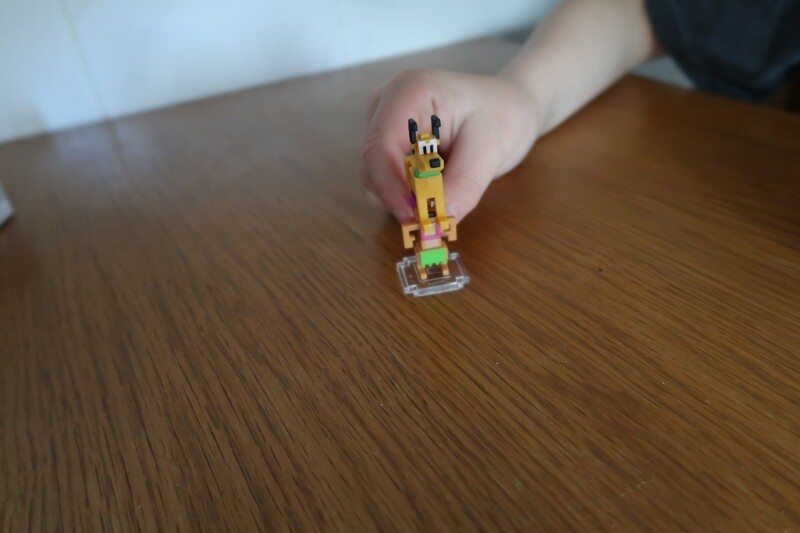 The little mini figures are a perfect size to play with, take anywhere, collect and swap with your friends. Mickey was a top choice in our wish list. He looks fab and the classic Disney character isn’t he? Who is your favourite? 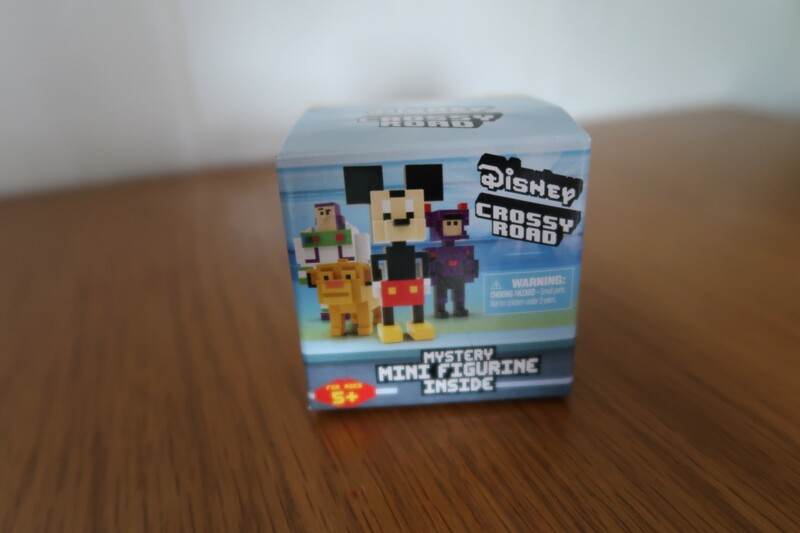 Each of the Disney Crossy Road mini figures, like all collectables, comes with their own status. These range from rare, epic, secret, legendary and limited edition. Cool, huh! 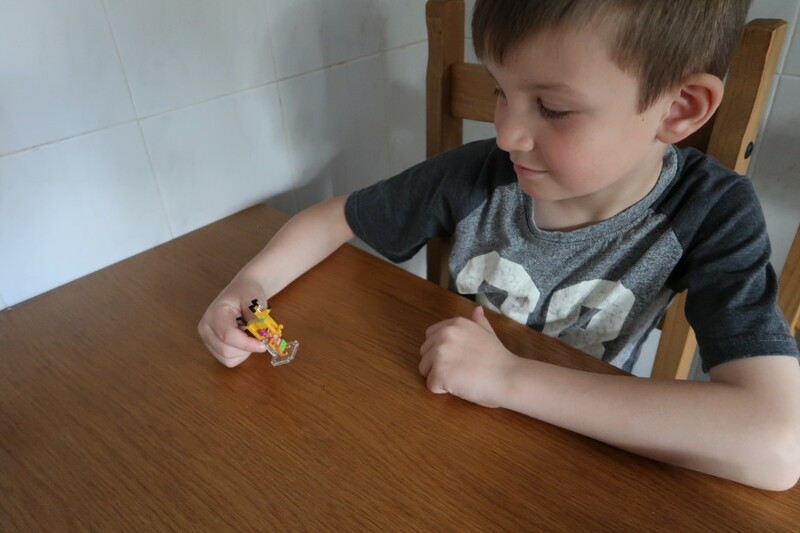 The mystery boxes make great pocket money treats and are simple to play with. There are no little bits to get lost and they are well made. The only downside is that they are no poseable, but then I’m guessing this is keeping in line with the characters on the Crossy Road App. 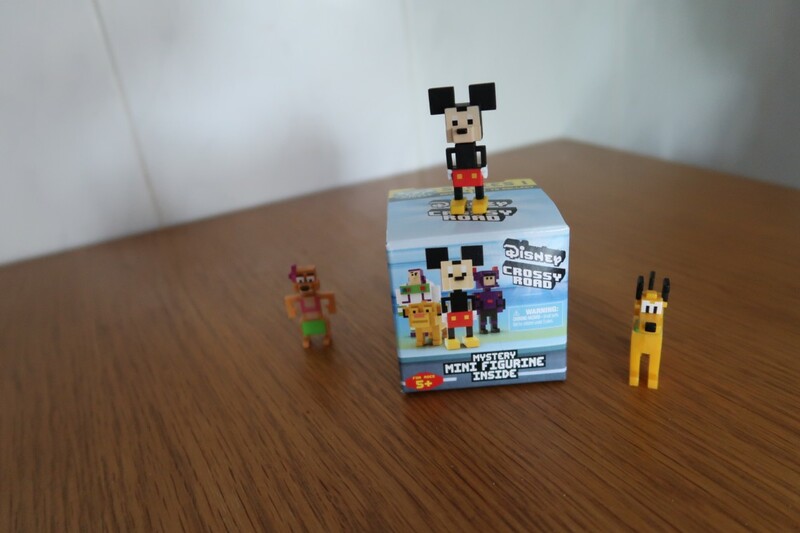 We are huge Disney fans and love these little figures. 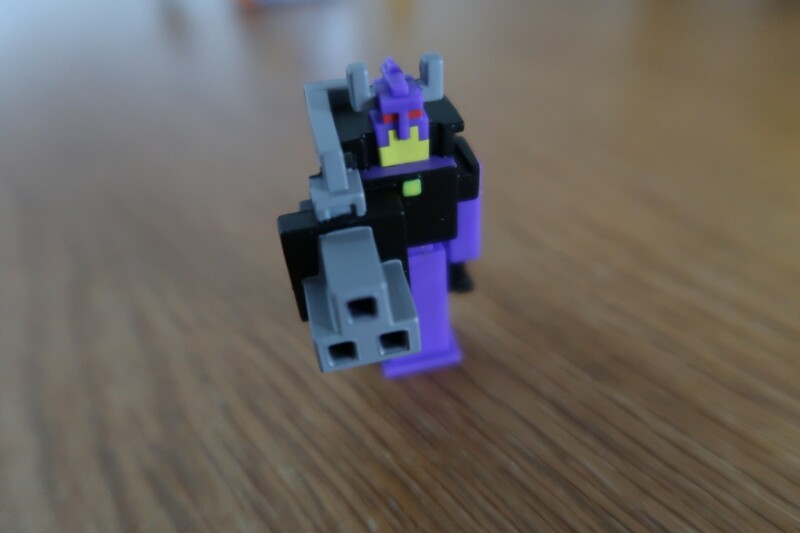 The Mini Figure pack had 4 in it. 3 you can see and a blind pack, I think this just adds to the fun. We were delighted with each of our figures. We got Timon from the Lion King, Mickey, Daisy, Zurg, Pluto and a character from Big Hero 6. These are definitely something we will get again. As you can probably guess, we loved these. They are based on the Disney Crossy Road App and are designed for children aged 6-11. Both my boys are within this age and loved them. I always have a soft spot in my heart for Disney and loved these too. I think they are good value for money. The Lion King Plus is £9.99. The Series 1 Mini Figure pack, containing 4 figures, is £9.99 and the little blind boxes, containing 1 figure, is £2.99. They are all well made and fun to play with. They are available to purchase at Tesco, Asda, Toys R Us, Smyths, Argos and all good toy shops. Do check out our unboxing video and see what we got and more thoughts on these. Disclaimer:- We received these toys to review, but all words and thoughts are our own. Would You Use A Family Locator App like Folr?